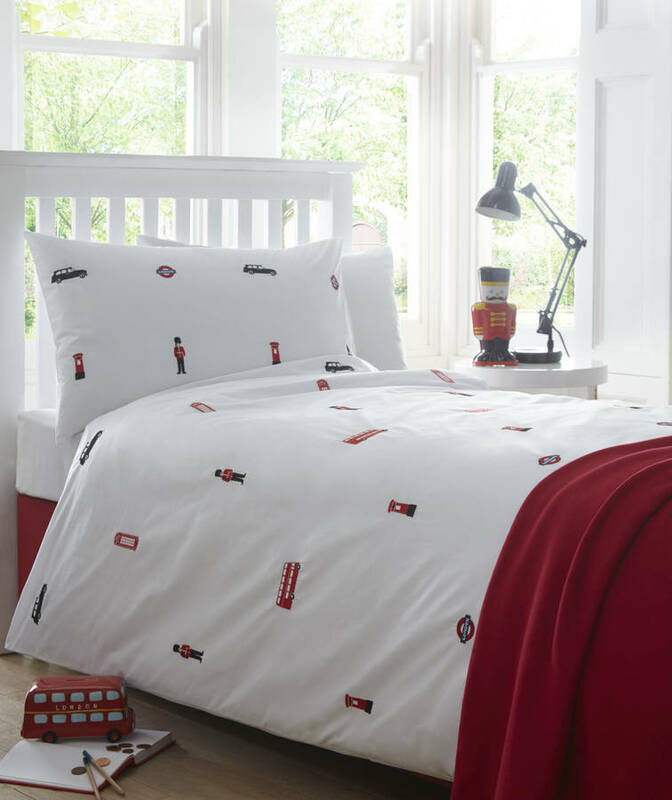 The London bedding design features classic London icons embroidered across the duvet cover and pillowcase and is part of the practical organic bedding collections. The London icons are embroidered all over the organic cotton percale duvet cover and the pillowcases which are available separately. 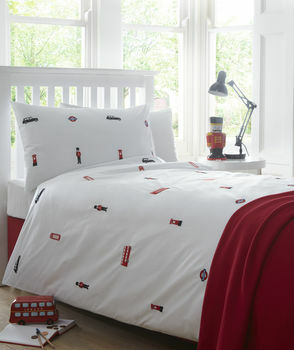 The London duvet covers and separate pillowcases are suitable for children of any age. The organic cotton percale has been carefully woven in a 200 threadcount to ensure a soft, smooth finish whilst practical and durable. The London and British icons featured include telephone box, soldier, black cab and London bus. This product is dispatched to you by The Fine Cotton Company.